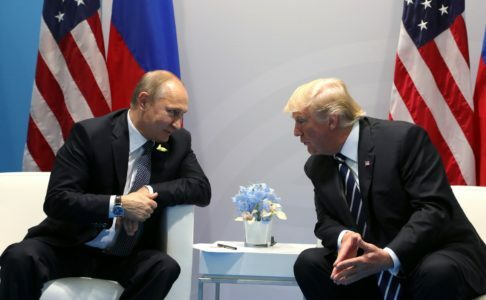 National security analyst and conservative commentator, Max Boot, outlined his argument for why Donald Trump may be a Russian asset working on behalf of Putin’s government. Writing for the Washington Post, Boot compiled a list of 18 examples that appear to indicate Trump is working against U.S. national security interests and is advancing Putin’s agenda from inside the White House. Boot’s concerns echo those of the FBI, which launched a counterintelligence investigation into Donald Trump’s Russian connections after he fired FBI director James Comey. Boot’s arguments also come a day after New York Magazine implied special counsel Robert Mueller is investigating Trump as a possible Russian asset. Among Boot’s arguments that endorse the view Trump is a Russian agent are the assertions of Donald Trump Jr. in 2014 that the Trump Organization doesn’t rely on American banks. “We have all the funding we need out of Russia,” he said. Boot also cites Russian hacking in the 2016 campaign, as well as the more than 101 points of contact between Trump’s campaign team and Russia linked operatives, as evidence of Trump working for the Russian government. Trump’s associate Roger Stone also knew Russia had hacked John Podesta’s emails before the information was publicly reported. “I can’t think of anything that would exonerate Trump aside from the difficulty of grasping what once would have seemed unimaginable: that a president of the United States could actually have been compromised by a hostile foreign power,” Boot wrote in the Washington Post article. Boot also highlighted Trump’s blatant attempts to obstruct investigations into possible collusion between his campaign and Russia-linked contacts and his public attacks of international institutions like NATO and the E.U as further evidence of the president working against U.S. national security interests.